DeelaSees: Fighting stronger - CREED. Listen. I watched the trailer and learned that it would be Michael B. Jordan, Tessa Thompson, and Phylicia Rashad together in one film... and that's all I needed to know. 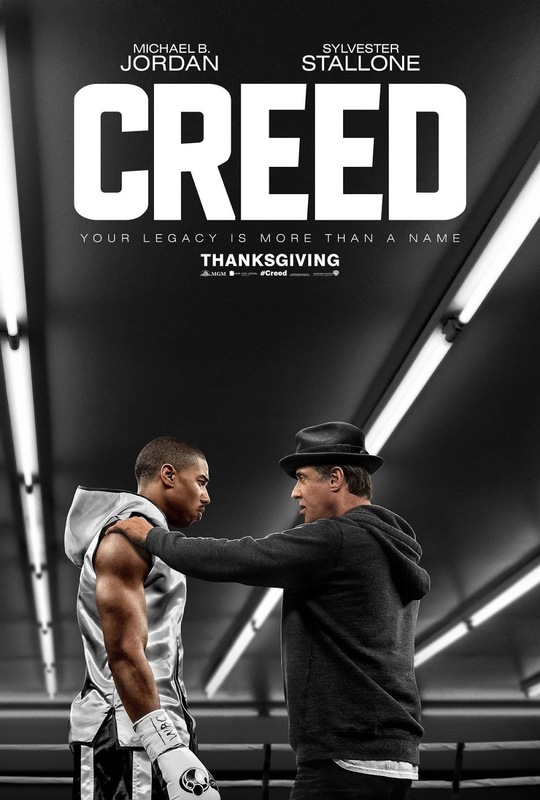 Adonis Creed, son of famed boxer Apollo Creed and his mistress, is adopted by Apollo's widow and brought up with love and comfort. But boxing is in his blood, and when he decides to quit his job and move to Philadelphia to pursue his passion, he looks to Rocky Balboa to train him and help him come to terms with who he is as the son of a legend. "Your legacy is more than a name"
What I really like about this film: Oh, let me count the ways. The realness of Michael B. Jordan (Adonis) and Tessa Thompson (Bianca)'s relationship. As an athlete and an artist respectively, they're passionate, focused, and keep each other on their toes. Neither lets the other fall back on BS, but then when they get silly with each other it's also super cute! "Why didn't you tell me you had hands like that tho?" "But I'm a square tho, right? I'm a square." Tessa Thompson's twists. Hair was never not on point. The ways the film seemed rep Philly, as well as the Rocky franchise, so hard. That scene where Adonis is running, with the hood kids following behind on their motorbikes, going to visit the legendary old man Rocky's house, all set to that updated version of whichever Rocky song that was playing in the background? So hype it almost moved me to tears. Too many inspirational quotes to count. And I paraphrase, "You are only fighting against yourself; you are your biggest competitor. That other fighter in the ring, that person's just in your way. Get them out of the way so you can get back to yourself." Also, Sylvester Stallone as Michael B. 's adoptive, widely respected, crazy old uncle or "Unc". What I don't like about this film: Would've loved to see more of everyone's auntie, Phylicia Rashad. I got the impression from the trailer that she'd have more screen time than she did, so that was a bit of a bummer. Still, it's always lovely to see her on screen! Would I recommend it? : Whet? Are you kidd-? gir-? ajfasjdf;lasjkf- YES! I've got nothing deep or sufficiently critical to say. 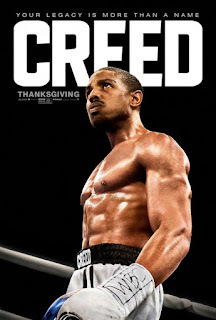 There's nothing to not love about 'Creed' if you ask me, so do yourself a favor and go see it!